Formally, the piece is a simple restrained geometric pleasure trigger. I wanted to celebrate aspects of the delectable and enduring substance itself. 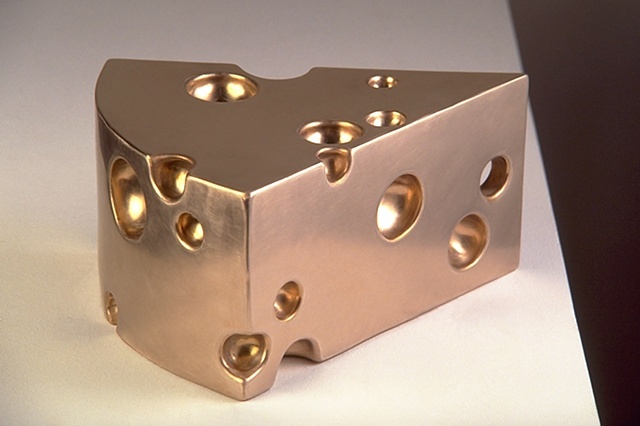 Bronze is a soft, dense, fine-grained material that is alternately liquid and solid, molded and cultivated to a sublime finish. I had also desired to recognize the culture industrys ongoing production of a durable second nature, as fresh milk is congealed into cheese for long-distance distribution.